As you may have experienced, securing the perfect film location isn’t always easy, and it’s rarely affordable. However, great filmmaking is not just about location, it’s also about how you set the scene. The impact a setting can have on the scene it supports is monumental. So, how do you make the most of your set? You may be thinking of tracking shots, production design, complicated blocking, expansive lighting packages, or even VFX. However, I’d like to suggest considering the functions of a very simple aspect of your location – the doorway. Almost any location will have a door or other physical entrance which, when used properly, will help you to tell a deeper and more complex story. By incorporating the doors, entrances/exits, and thresholds of your location into the scene, you will be able to communicate additional information about the characters and themes of the film, while also utilizing your location in a simple and impactful manner. Darren Foley from Must See Films has a video essay on this very topic. Featuring a wide variety of Oscar-winning film and television clips, from The Matrix to Gone With The Wind, to Family Guy, this essay gives countless examples of how doors are utilized to create comedy and drama, raise the stakes, establish barriers, show separation, and communicate emotional states of being. 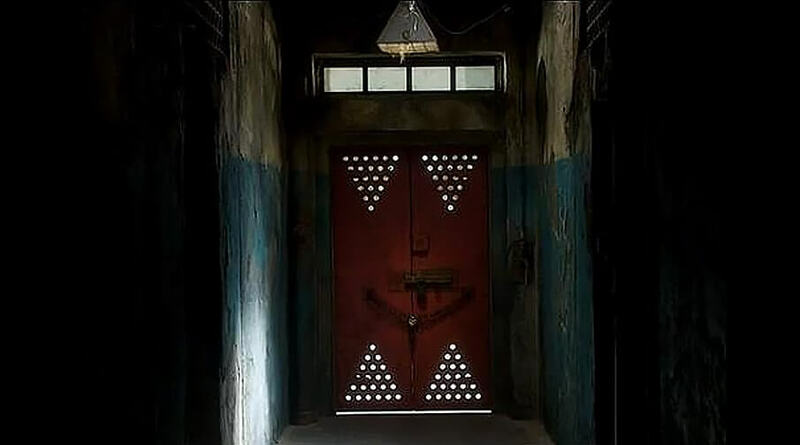 Early on in the video, Darren states, “The doorway serves as a physical representation of an emotional barrier.” While the doors he showcases certainly represent very different things, this concept applies soundly to each of them. Let’s take a look at a few of the most common ways physical barriers in film enrich the storytelling process, supported by prime examples from the list above. Perhaps the most common way doors are used in film is to show the relationship between two people. For example, how quickly and how far the door is opened may represent distrust or weakness, while refusal to allow entry makes a clear statement on a character’s feelings. 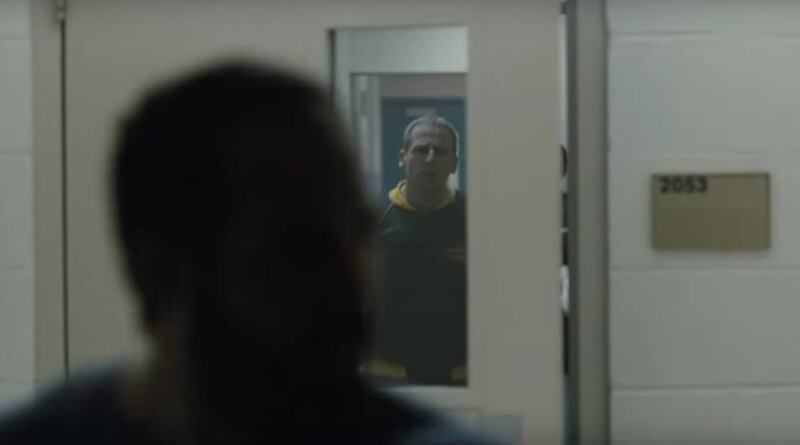 Two major scenes from Foxcatcher utilize doors in exactly this manner. The first scene between the two brothers, with the door half closed and half open, helps communicate the divide and tension between them. This same tactic is employed later, with a scene shot through the window of a door. As the characters go in and out of the door, the conflict between them builds. While Monster’s Inc. may be your first thought for Disney and doors, Frozen repeatedly uses doors as a symbol of the separation of its two main characters. When Elsa grows fearful of her ability to control her magical powers, she shuts her sister out, quite literally, by refusing to open her door or leave her room. Later in the film, once Elsa has regained control, the door finally opens when her sister knocks. Not only do we have scenes and dialogue concentrating on the door as a barrier, we also see a separation of the two sisters represented physically. Pictured below are two vastly different sides of the same door. A door can represent escape in an incredibly powerful way. 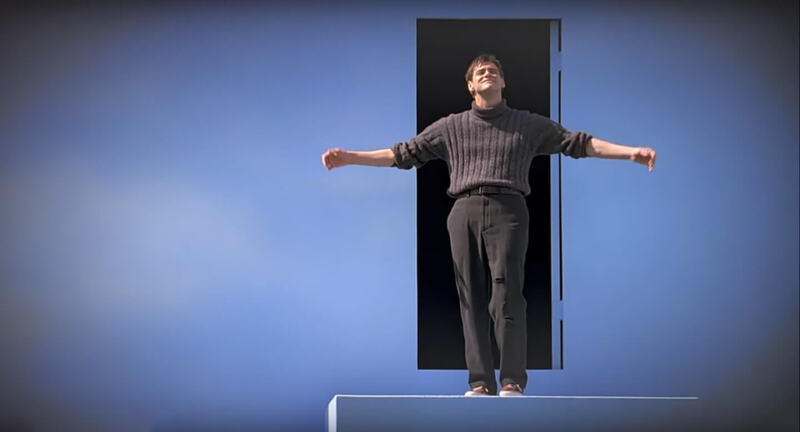 In The Truman Show, when Jim Carrey’s character finally opens the blue door, across the water, at the edge of what he previously thought was the sky, he crosses an epic barrier into reality, leaving the constructed world of his television imprisonment behind. The hero’s escape from captivity, and in fact his emotional journey throughout the film, is exemplified by that door. In the fourth season of Shonda Rhimes’ Scandal, the protagonist, Olivia Pope, is kidnapped. During this time, a great deal of cinematographic emphasis is placed on the large double door at the end of the hallway, as it is Olivia’s way out. This door becomes a recurring theme throughout the show, popping into Olivia’s imagination (and onto screen) whenever she is feeling trapped, dealing with anxiety, or searching desperately for a solution. It becomes a motif representing both escape, and her personal situations. Functionally speaking, doors connect two places. Most often, these are rooms, but sometimes, especially in films with elements of science-fiction or fantasy, the doorway as a literal portal to another world. 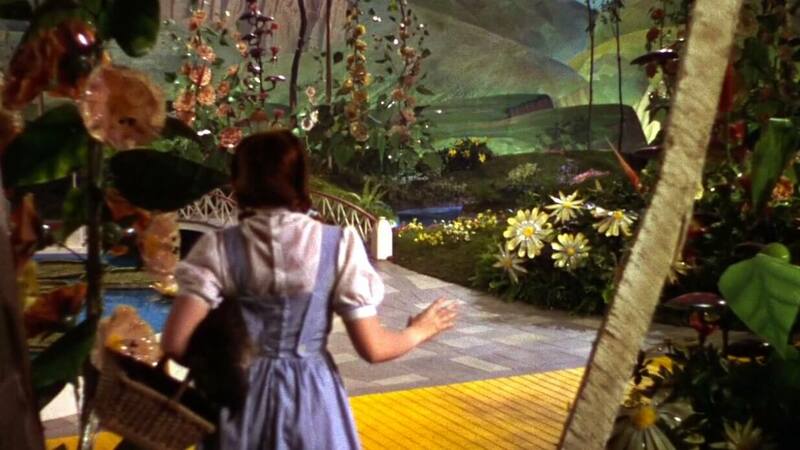 When Judy Garland exits her black and white house into the colorful Munchkin Land in The Wizard of Oz, the door is the physical separation of the two worlds. Her adventure is started by her decision to go through the door and into Oz. Another unique way of using a door is in relation to your audience (7:38 into the video). Shooting a conversation behind a closed door helps to build mystery and tension, separating the audience from the action, but effectively drawing them in. This scene from Nicolas Roeg’s Don’t Look Now, employed this tactic accidentally when the cinematographer did not stop rolling, but found the shot to be unsettling and very effective. On the reverse, allowing the audience to see what else is happening outside a room during the scene, in fact giving them more information, can help move the story forward. By thinking through the deeper meaning of every choice in a film, like shooting a scene in a doorway, filmmakers set themselves and their work apart from the rest, their creativity shining in the details. To read more on this concept as it applies to using props in film, check out my article 6 Ways to Turn Movie Props into Iconic Symbols. Think through each choice carefully. The impact can be significant!